New Video – Watch it Free! We spent a week in Hot Springs, Arkansas, with its tradition of “taking the baths”. The hot water that bubbles forth from deep in the earth has long been regarded for its healing properties. Hot Springs National Park includes the six bathhouses on magnolia-lined Central Avenue that make up “Bathhouse Row”. This beautiful turn of the century architecture is considered the grandest collection of bathhouses of its kind in America. The Buckstaff Baths is the only one of these historic buildings currently operating as a bathhouse. Jill splurged on their traditional bath and massage. More than just a bit of pampering, it’s worth it as an experience in tradition. On that note, we think it’s a good idea to first pay a visit to the Fordyce Bathhouse building, which now serves as the Hot Springs National Park Visitor Center. This gives you a good appreciation of the history and heritage. The Visitor Center has three restored floors that showcase the baths, salons, therapy and dressing rooms, a gymnasium and Assembly Room (where guests of both sexes could socialize) — along with period artifacts and exhibits. We spent an afternoon in the Visitor Center and took in the Buckstaff Baths on another day. Tip: Buckstaff Baths is less busy in the mornings, so arrive early for a more relaxing experience. The remaining buildings on Bathhouse Row have been stabilized and exterior and interior renovations are in progress. The plan is to lease them to private businesses, with National Park Service oversight. More about our Hot Springs stay. When we first started thinking about the Your RV Lifestyle site, we realized that we were pretty “green” in the ways of the web. Between the two of us, we’d spent over 60 years in corporate America. Years of experience in sales, billing, customer service, product management and process engineering. But none of these jobs had us building websites. Sure, we had been using the internet for years. But browsing pages and being “behind the curtain” creating those pages are two different things. We are so glad we came across Site Build It! The answer if you want to create or grow your own business, or give a long-lasting gift. Now you can SEE how it works for you, with this neat video – watch it free NOW! We have been winding our way eastward to visit family in Florida, making several stops along the way. And as we often do, we have kept our eyes open for free and fun things to do. In traveling to Abita Springs LA, we decided to take the scenic Natchez Trace Parkway. We made a stop in Natchez and spent the night in the Visitor Center parking lot (we asked and it was permissible). An overnight like this is a good way to get a sampling of a particular place and to check things out for future RV travel, even if we don’t plan a lengthy stay this time around. In this case, it gave us a chance to see the exhibits and film in the Visitor Center, and to take a self-guided stroll around historic downtown. We visited the house owned by William Johnson, a freed Black man who worked as a barber in pre-Civil War days. He wrote an extensive diary, which forms the basis for many of the insightful exhibits in this free museum. Natchez could easily be on your list of places to RV for a longer period of time. Read more. Abita Springs LA was our next stop, one of our ROD parks . It is a few miles north of the Causeway that goes into New Orleans. We enjoyed a number of free activities at the RV park itself, which has made a nice recovery post-Katrina. We also biked part of the Tammany Trace, a bike path that runs between Covington and Slidell. (Note that when we were there, the Bayou Lacombe Bridge was still out – so check ahead, depending on your biking plans). We had been to New Orleans in the past, so we had already visited some of the museums, plantations and taken the city tour. Being in a place like New Orleans, we just had to spend some money eating out, but we also enjoyed some free fun. Strolling the French Quarter and Garden District are always great pastimes. (If you have never been to New Orleans, it is really worth it to take a guided tour). In addition to browsing through galleries and shops, we also visited the Katrina exhibit at the New Orleans Collection at 533 Royal Street. It is a very interesting free exhibit that includes numerous photos, videos and oral histories of police and fire dept personnel, telling the story of rescue operations. We caught some veteran musicians one evening at the 544 Club on Bourbon Street (the music is free, the drinks are not – so sip slowly). We also enjoyed a free concert “Down by the Riverside”, which was hosted in gratitude to the many volunteers who have helped with the recovery effort. We happened to find out about this in a local newspaper – one of those free nightlife/arts sort of publications. When we get into an area, we usually look for local publications and brochures as well as checking calendar/event listings on the internet. By the way, we also found out about a $1 holiday special on parking, a great savings…we learned of this deal on the internet. Our next stop was just north of Biloxi, in Ocean Springs, Mississippi. Our stay in the New Orleans area and subsequent travel along the Gulf Coast was a melancholy journey, as were struck anew with the devastation of Katrina. Recovery efforts are underway, but the extent of the damage is still mind boggling. We had seen the damage in New Orleans neighborhoods. In Mississippi, we found that only one of three bridges leading to the Biloxi peninsula was open. We drove Route 90 along the coast from Biloxi to Pass Christian. Over a year later, it was sad to see the miles of driveways leading to nothing — except perhaps a building’s foundation or a broken signpost or an occasional structure in dire need of repair or demolition. There were lots of “for sale” signs, and several signs announcing that a new resort or luxury condos would be coming soon. By all indications, there is still a long road to recovery ahead. On the positive side of things, a number of casinos are in business in Biloxi. The beautiful lobby of the Beau Rivage was festively decorated for the holidays. The Grand Biloxi, Isle of Capri, Boomtown Casino, Imperial Palace and a few others are open and the sound of slot machines was clearly evident. And nearby coastal communities seem to get on with their lives, despite the storm-related challenges that still linger. At the Gulf Islands National Seashore in Ocean Springs, the Visitor Center was still closed from storm damage and the campground closed to host displaced residents. Yet a community bike ride was hosted by the Park Service, who operated out of temporary quarters. Here we met local residents who told us about their experiences with no power, water or means of communication in the days after Katrina hit. They could now chuckle as they told of how they had relied on a radio in a Barbie car to find out what was going on around them. We also got the chance to chat with local residents and enjoy the friendly ambiance of Christmas parades and lighted boat parades that were held in nearby coastal communities. Another melancholy part of the past month was that we brought Hike back home to the Shiloh RV Travel Resort in Monroe, Louisiana. We miss his company, but are glad for all the good times we shared with him these past few months. Anne and crew were happy to welcome Hike home, and he has already been a big help getting ready for the holidays. After all…he’s an energetic sort and you can always count on him to put on a happy face. There is always fun (and funny) stuff going on when it comes to Hike. Anne put together a video clip that highlights some of our travels with Hiker Happy. And our Hike pictures have also been put to good use with some funny Hike merchandise not to be missed! We look forward to Hike’s return, after he takes care of his responsibilities over the holidays and with the Escapees CARE center. (RV Scrapbook is compiling an e-cookbook, with proceeds to benefit the CARE center.) Join the fun and caring community of RVers and RV-wannabes over at RV Scrapbook. There is a lot to learn about public & private campgrounds and RV Parks, and the more you know, the better your camping experiences will be. 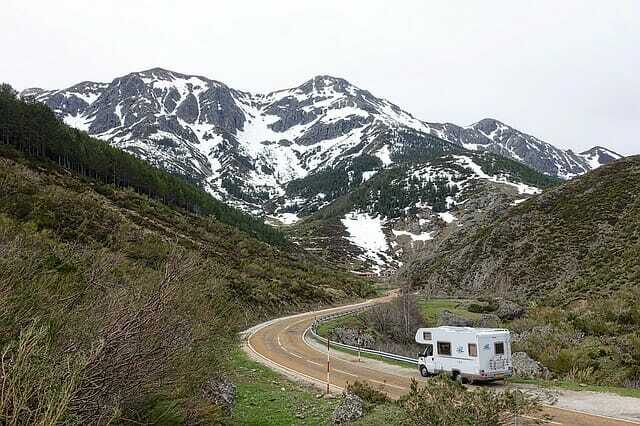 How do you find RV campgrounds, parks and resorts? Should you make reservations before leaving on a trip? How do you register when you arrive at the campground? What kind of site should you request? Do you need a partial hook up or a full hook up? How do you set the RV up at the campground? What does campground etiquette mean? How do you determine the right camping club or camping network for you? This DVD, by Mark Polk of RV Education 101, answers all of these questions and much more. Check out all the great RVing DVDs and Box Sets. As we make our travel plans for the winter, we are already looking forward to attending the FMCA rally in March 2007. Family Motor Coach Association is a great club for motorhome owners, and we always find their rallies to be reasonably priced, educational and great fun. We can’t imagine not belonging to FMCA. The benefits are excellent and the magazine is always full of RV-related news, travel info and lots of helpful tips. Holidays are right around the corner. Lots of ideas for gifts… or for you and your RV. Season’s Greetings from Your RV Lifestyle! We wish everyone health and happiness … however, and wherever, you spend your holidays.